Tis’ the season for Christmas parties, mulled wine and festive sparkle. ALWAYS my favourite time of the year because I’m not the only one obsessing over anything with sequins and going OTT on the glitter. To match my sparkly and Christmasy mood, as I was getting ready for my work Xmas party, I decided to treat my nails to a a Christmas tree-inspired manicure! 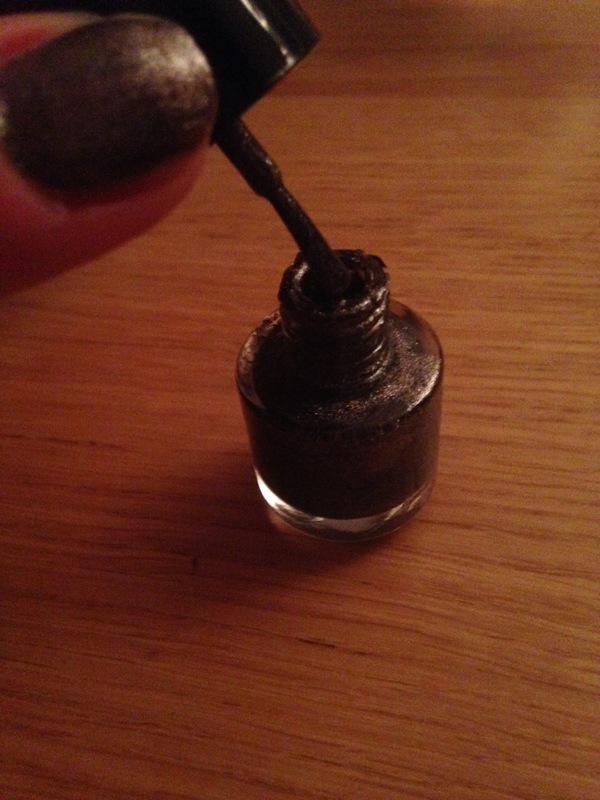 I just love the festive dark green colour and making my nails look bold with glitter. Plus it was super easy to do. I used my dark shimmery green L & B polish as the base colour- I love this varnish because its subtle sparkle isn’t too bold but will catch and shine in different lights. I topped the base colour with my w7 green tinted glitter polish which always looks great on top of other colours to enhance the sparkle spectrum. 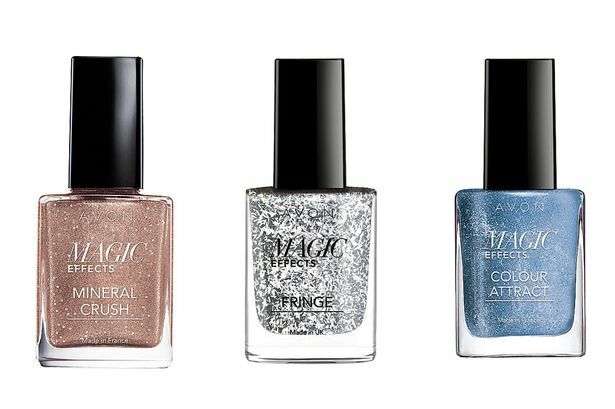 And to go the extra mile for the Christmas do I added a few sprinkles of glitter from my Avon Colour Trend pot to each thumb and third finger. I set the glitter and coated all of my nails with a clear top coat to give it extra shine and hold. I did this manicure last Monday and the glitter and polis are still going strong. I always make sure to keep my sparkly nails going through to the end of the Christmas party season. I hope you have a go at some DIY festive nails this season too and find your favourite festive manicure. Happy partying this Christmas! I went into this week feeling really unwell with symptoms of tonsillitis- something that likes to regularly haunt me- so I needed a pick me up with some bright and pretty nails. Peachy coral shades remind me of the summer, which brings me happy thoughts of the beach, sun, cocktails, and parties. Oh I can’t wait for the summer time again! I decided to spruce up my girlie manicure by adding a bit of silver sparkle to one of my nails on each hand. You can never go wrong with glitter- in my opinion it’s a life essential for every season! Rimmel London’s 60 second coral shade is perfect for Spring/Summer 2015 and does what it says on the bottle… it dries fast so if you’re like me and can’t sit still for very long it is the perfect paint! 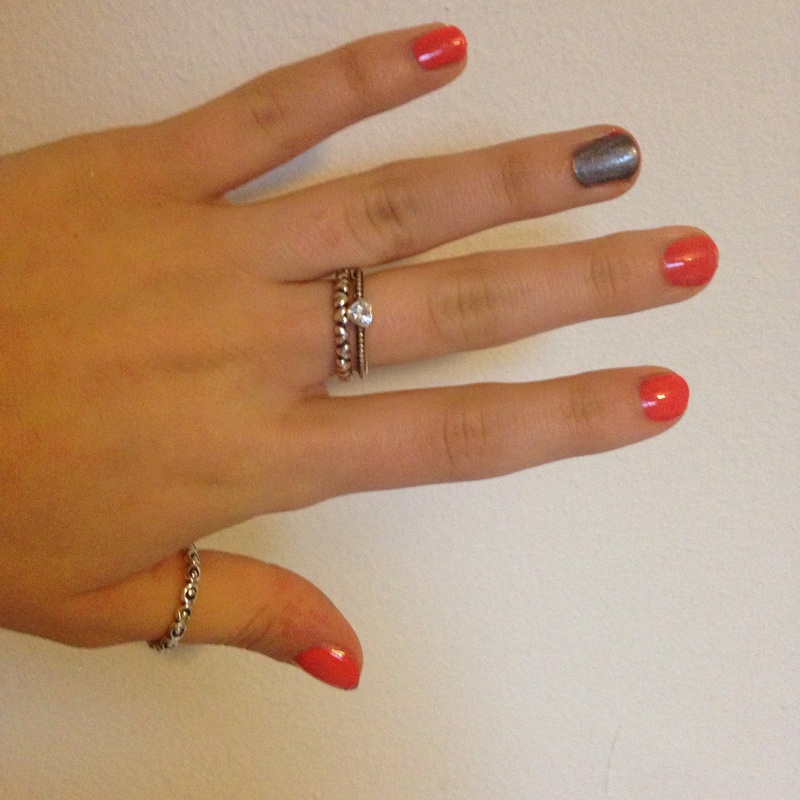 I used Avon’s grey sparkle varnish which also comes with a magnet stick to create ripple effects- great for parties! I am totally obsessed with having my nails painted at all times- I just don’t feel right without any nail varnish on and being lucky enough to have a huge box of paints I like to change the colour atleast twice a week! Lately I’ve definitely been sticking to lots of darker shades to match the cold winter season but I think it’s time to suit my happy mood and go for something a bit brighter and bolder! My favourite colours for the winter have been matte grey, dark ruby red (wacked this out for valentines weekend) and sparkly silver- you always have to have one favourite glittery nail varnish for the Christmas and New Year party season! But I do think it’s about time winter’s muted tones were pushed to one side for the sorbet and candy colours to be worn. I know its not quite spring yet but all this lovely sunshine is making me too excited 1) because spring means my birthday is coming and 2) because it’s definitely the warmest and sunniest time of the year in England. 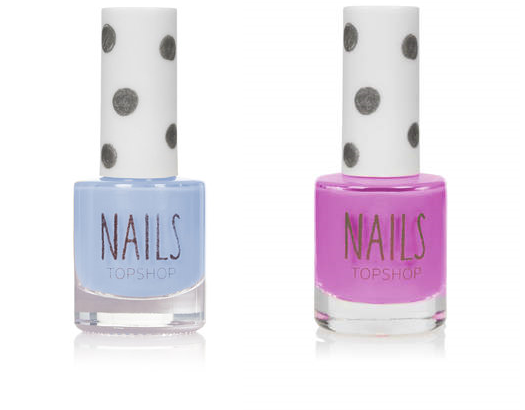 My favourite colours for this upcoming spring season have got to be the pretty pastel shades. Candy colours for Spring are never going to go out of trend- they look too gorgeous in the sun especially on tanned hands. 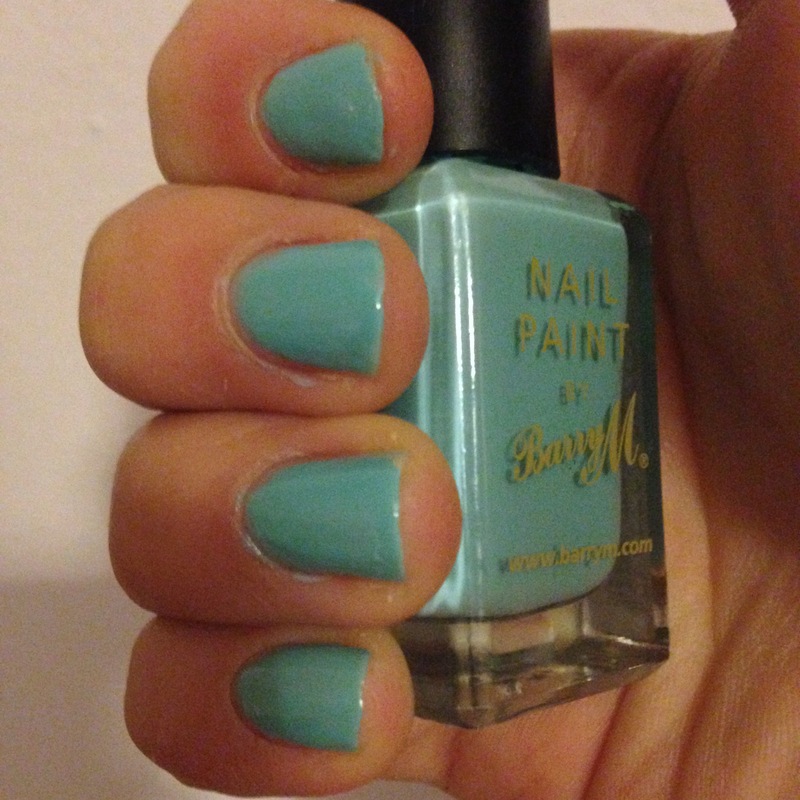 I absolutely love this Barry M mint green- totally brighten up my week! 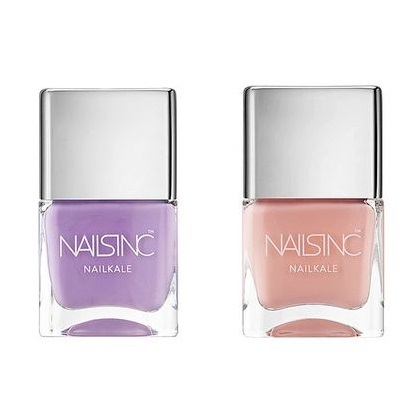 So whether it’s chalky lavender, powder blue or candy pink, there are plenty of gorgeous shades you’ll have your eye on this Spring.